The unique attitude to life of the southern states will be revealed to you by the Mississippi River Cruise. Added to this you will get comfort and service on board riverboats which offer both nostalgia and the most modern fixtures and fittings. The Mississippi rises in Lake Itasca in Minnesota. On its long journey of some 3778 km, it flows through 10 US states: Minnesota, Wisconsin, Iowa, Illinois, Missouri, Kentucky, Arkansas, Tennessee, Mississippi and Louisiana, before finally discharging into the Gulf of Mexico. For a Mississippi River Cruise, the spring and autumn months are particularly recommended. The itinerary of the Mississippi River Cruise includes a visit to the "Cradle of Jazz": New Orleans in the state of Louisiana. Take a stroll through the famous French Quarter, the heart of New Orleans. Or be inspired by the New Orleans Museum of Art. The city of Memphis in Tennessee is above all associated with the name of Elvis Presley. You can visit the former estate of the King of Rock and Roll, Graceland. The large number of museums, including, for example, the Center for Southern Folklore, make the lively history of the city accessible to interested visitors. If your Mississippi River Cruise should take you to the city of St. Louis in the state of Missouri, you will be able to visit the landmark 192 m-high Gateway Arch and the Missouri Botanical Garden, which invites you to come in and chill out. The capital city of Minnesota, St. Paul, and Minneapolis form the famous "Twin Cities". Numerous historical museums, such as the Science Museum of Minnesota, are at the disposal of the interested visitor. Further highlights are the Minnesota State Capitol and St. Paul&apos;s Cathedral. 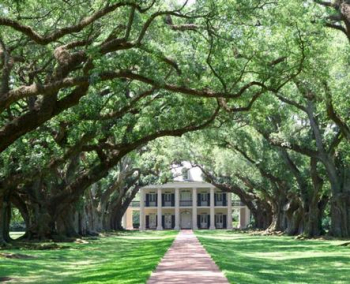 The idyll of the southern states, along with inviting mansion houses, unmistakable hospitality and verdant nature - why not embark on the unforgettable adventure of a Mississippi River Cruise?